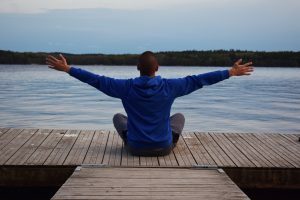 Excerpt: The four mindfulness skills athletes learn in order to stay in the moment with razor focus can help anyone do more, achieve more in all aspects of life. For top athletes, the expectations are immense and the stakes are high. There’s no time to get caught up in your head, questioning why or beating yourself up for a mistake. You have to stay in the game-you have to focus and refocus constantly. That’s where mindfulness comes in. “It’s all about being present, and if you lose it, how fast you can refocus on the next play,” says mental training coach Graham Betchart who works with top athletes. But these skills are not just for sports stars, says Betchart. For more on how he guides his players through mindfulness so they can keep their heads in the game and perform at their peak, including his advice to “Fail Your Way to the Top” and “Build Supreme Confidence,” click here.